Our last day on the island. We spent it enjoying the amenities at our resort, including one of the budget-conscious traveler’s favorites: free breakfast! 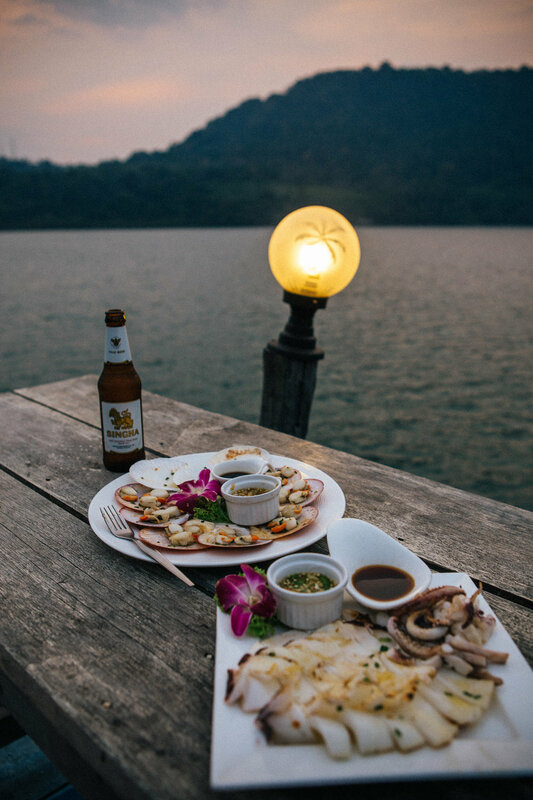 We headed back to the end-of-the-road fisherman village for dinner on our last night, and enjoyed fresh seafood as we watched the sun set one last time on Koh Kood. Shrimp spring rolls, butter scallops and squid two ways felt like the perfect way to wrap up one of the best weeks in recent memory.